10 Days Gorilla Tour overview: Gorilla tracking in Bwindi, wildlife viewing in Queen and Lake Mburo National Park, chimpanzee tracking in Kibale forest National Park. Day 1: Arrival – Entebbe. After breakfast, you will depart Kampala for Kibale Forest National park arriving in the afternoon. Kibale Forest is a large protected block of rainforest, which has the highest number of primates in Africa such as Chimpanzees, Grey Cheeked Mangabey, Red Tailed monkey and Red Colobus. 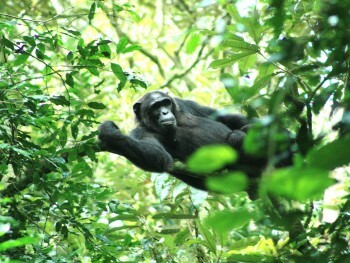 In the afternoon, you will go for Chimpanzee tracking in the forest returning in the evening. Seeing the way our “cousins” feed, climb trees, and respond to humans, caring for the young ones is a very interesting experience. Dinner and over night at lodge or Camp or Guest House. FB. 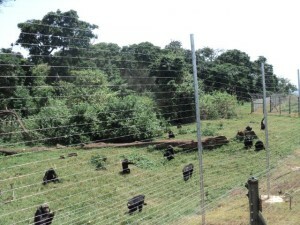 This morning, you will go for chimp tracking spend the whole morning in the forest tracking the chimpanzees believed to be man’s closest relative, with much fun and thrill watching them in their natural haven, we shall return to the lodge in time for lunch. Later in the evening, you will have the opportunity of a guided walk through Bigodi Swamp. Bigodi Wetland Sanctuary is managed by the Kibale Association for Rural and Environmental organization formed in 1992 with the aim of achieving social and economic development for local communities. This swamp is a home to approximately 137 bird species and it’s also rich in vegetation, such as wild palms, polita figs and the dominant papyrus. Dinner and over night at lodge or Camp or Guest House. FB. After breakfast, you will depart Kibale and then head for Queen Elizabeth National Park having a game drive while entering the park arriving in the afternoon. Relax around the pool after lunch and later go for an early evening game drive. Queen Elizabeth boasts one of the highest bio diversity ratings of any game park or reserve in the world, – from the open Savannah to Rain Forest, dense Papyrus Swamps and brooding Crater lakes to the vastness of Lake Edward. Almost 100 mammal species that include Lions, Hippos, Buffaloes, Leopard, Spotted Hyena, Elephants and the elusive Giant Forest Hog plus remarkable 606 bird species that include the Black Chested Eagle, the Swallow Tailed Bee Eaters, to mention but a few. The Primates include Chimps, Black and White Colobus Monkeys, Blue, Black Faced Red Colobus, and Red Tailed monkeys and Olive Baboons. Reptiles are the amazing huge Rock-Python, Puff adders, Spitting Cobras, Gabon Rippers, Green Mambas, and Turtles etc. Day 6: Bwindi Impenetrable National Park. After breakfast, have a game drive and then proceed to Kampala having a stop over at the Equator – where you will be able to stand and be on both hemispheres at once arriving in Entebbe in the evening. Dinner and over night at the Hotel, or Guest house. Bed and Breakfast. 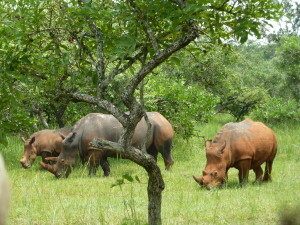 This entry was posted in Gorilla Safaris Packages, Uganda Safaris by Gorillas & East Africa Safaris. Bookmark the permalink.